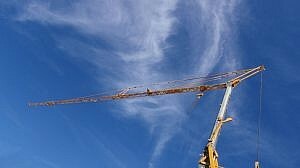 Potain HD 40A is a Self-Erecting crane. Constructed on site usually with a mobile crane and delivered to the site with semi-trailers. 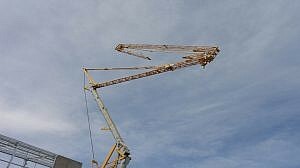 The crane itself is lifted in position in one piece and then the counterweights are positioned on the back of the crane. Maximum freestanding height is 23 meters. It is controlled remotely by the operator. The HD 40A offers improved lifting capacities and reach compared to other self-erecting cranes in its class. Increased tip capacities and multiple jib lengths make the HD 40A easy to adapt to the job site.